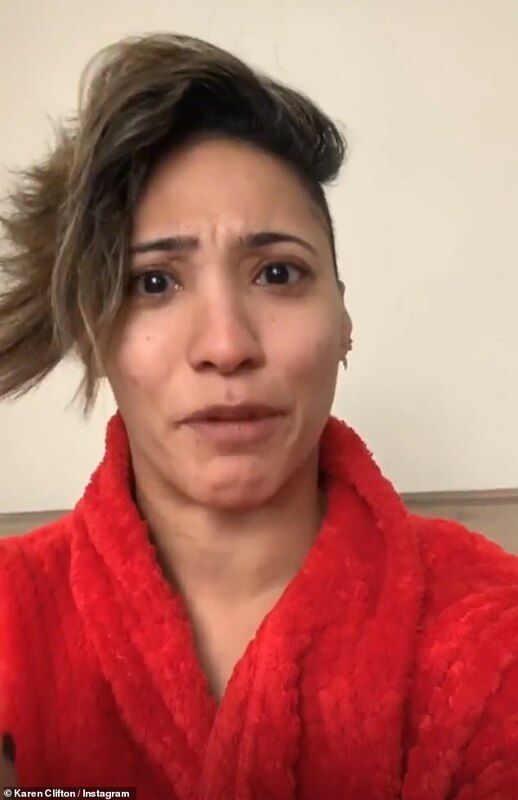 Karen Clifton has revealed she was refused a haircut from a barbershop who turned her away because she is a woman. 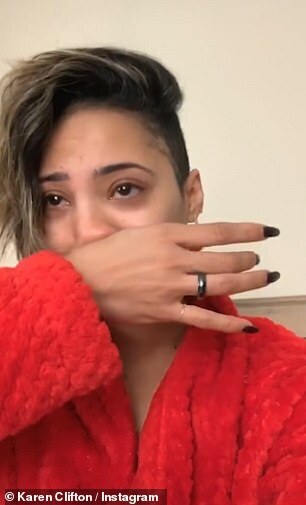 The Strictly Come Dancing star, 36, became emotional in a video uploaded to Instagram where she told how she was turned away from Jacks of London, despite having her hair cut there twice before. 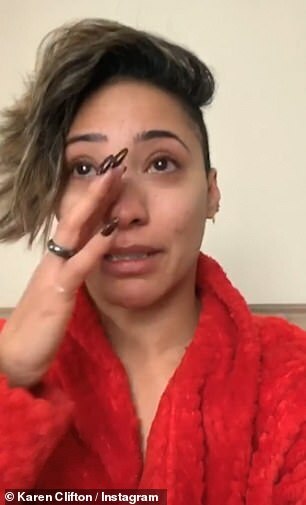 She said: 'I don't ever really do posts like this but I thought this was really important because this has never really happened to me before. I just went to get my haircut to a barbers, Jacks of London. 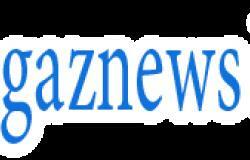 'I had gotten my haircut there before just on the sides, a fade, it's my new look. I had been there twice before. I went over today to get a haircut and they said I wasn't allowed to because I was a woman. Karen began to tear up as she recalled the encounter and described it as 'ridiculous'. She also claimed there were two barbers free when she entered the establishment but was still refused service. She said: 'And I felt really cr*p because this has never happened to me before. The fact that I was a woman and couldn't get my hair cut because it's all male. 'What are we, in the stone ages? It really affected me. I'm not getting anything fancy done. Even if I was, the fact that I was turned away because, no women allowed. 'There was two barbers that were free and there was only one customer in. 'When I've gone there before to get my hair cut, I've gotten it done by two women. But the time there was no women in there and I went in and they said I couldn't get my hair cut. Karen also voiced her frustration on Twitter, saying she felt like she had been punched 'right in the put of [her] stomach'. She wrote: 'When I was told this morning by @jacksoflondonuk that I wasn’t allowed to get my haircut because I was a woman.